Black and gold can either be chic or tacky. I would venture to say that when it comes to clothing and jewelry it can be hard to go wrong with this mix, but then again, after what I've seen on the city streets, NOTHING surprises me! Love love black and gold together. Although I agree that it can be tacky when done wrong... I love Halloween, and a grown up Halloween dinner party would be so much fun! 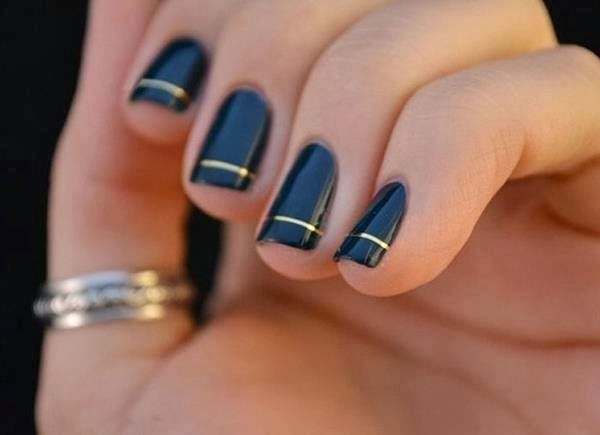 Black and gold is such a gorgeous combination! That neckalce is SO stunning! great combination, I love black an gold. Thanks for your comment. Love the stunning necklace and superb manicure. Thanks for your great comment, Happy Friday hun! Black and gold is so chic!! 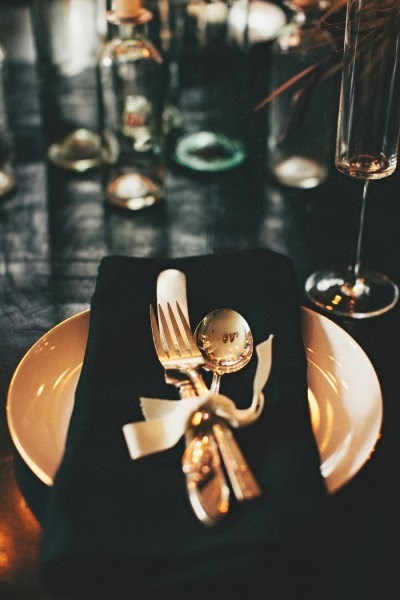 That place setting is really gorgeous. 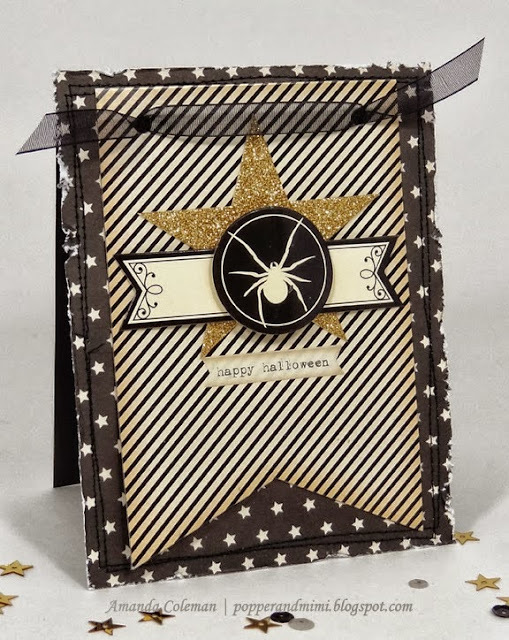 Loving these black and gold inspirations - what a perfect color combo! great post! love the black and gold combinations! The manicure is very beautifull! Great inspirations, manicure is absolutely wonderful!!! It truly is a great combination! I want to be at the beach so badly!